Appendix II includes Oceanic Whitetip (Carcharhinus longimanus) (2013), Scalloped Hammerhead (Sphyrna lewini), Great Hammerhead (Sphyrna mokarran), Smooth Hammerhead (Sphyrna zygaena) (2013), Porbeagle (Lamna nasus) (2013), Reef Manta Ray (Manta alfredi), Giant Manta Ray (Manta birostris) (2013), White Shark (Carcharodon carcharias) (2004), Whale Shark (Rhincodon typus) (2002), and Basking Shark (Cetorhinus maximus) (2002). The Convention on the Conservation of Migratory Species of Wild Animals (CMS) is an United Nations Environment Programme treaty that provides a global platform for the conservation and sustainable use of migratory animals and their habitats. By bringing together the range states through which migratory animals pass, CMS provides a legal foundation for coordinated conservation measures throughout a global migratory range. The CMS Sharks Memorandum of Understanding (MOU) was concluded under the umbrella of CMS in Manila in 2010, and aims to conserve and sustain migratory shark species. When the MOU was opened for signature in 2010 it included seven migratory species on Annex I - Whale Shark (Rhincodon typus), Basking Shark (Cetorhinus maximus), Great White Shark (Carcharodon carcharias), Shortfin Mako Shark (Isurus oxyrinchus), Longfin Mako Shark (Isurus paucus), Porbeagle (Lamna nasus), and Spiny Dogfish (Squalus acanthias; Northern Hemisphere populations). A major first step in the process of regulating shark fishing in RFMO waters was a prohibition on shark finning (defined as slicing off a shark's fins and discarding the body at sea). Finning is now prohibited by most RFMOs, but problematic loopholes still exist. To close these loopholes, many RFMOs are undergoing changes to their finning bans, from a fins-to-carcass ratio to mandating that sharks are landed with their fins naturally attached ("fins-attached"). These changes, however, have stalled for several RFMOs (some examples are outlined below). Additionally, it is important to note that a great number of countries party to these RFMOs have yet to ban shark finning in their national waters, and implementation of the RFMO bans varies among countries, limiting their effectiveness... More information on RFMOs and the SSG's role. 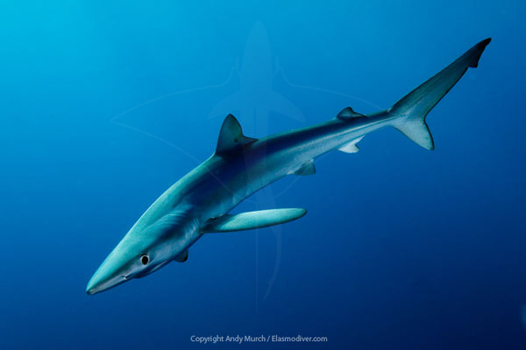 Widespread concern over the lack of management of shark fisheries and the impact that expanding catches may have on shark populations led to the adoption and endorsement of the Food and Agriculture Organization of the United Nations (FAO) International Plan of Action for the Conservation and Management of Sharks (IPOA–SHARKS) in 1999. This plan is aimed at ensuring the conservation and management of sharks and their long-term sustainable use, with particular emphasis on improving species-specific catch and landings data collection, and the monitoring and management of shark fisheries. 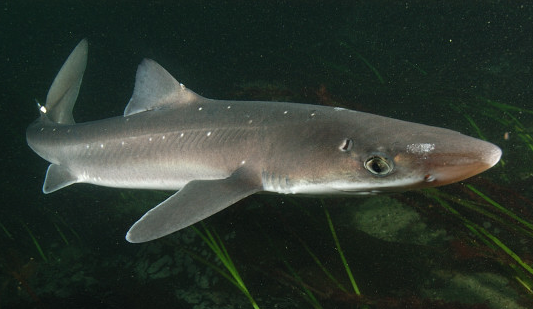 The IPOA–SHARKS recommends, inter alia, that all States contributing to fishing mortality on an elasmobranch species or stock should participate in its management, and should develop a National Plan of Action for the Conservation and Management of Sharks (NPOA-SHARKS) before 2001. The IUCN SSG is already actively involved in assisting States with the implementation of IPOA–SHARKS. Its members have contributed significantly to the Asia Pacific Economic Cooperation Technical Manual for Elasmobranch Fisheries Management Techniques (the SSG has now negotiated with FAO for its translation and publication in three languages in 2005), advised many States and regional bodies on the development of shark fisheries monitoring and management initiatives (including the drafting of National Shark Plans), participated in collaborative projects that include fisheries monitoring and management training elements, and have held a regional training workshop for fisheries managers... More information on IPOA-SHARKS and the SSG's role.